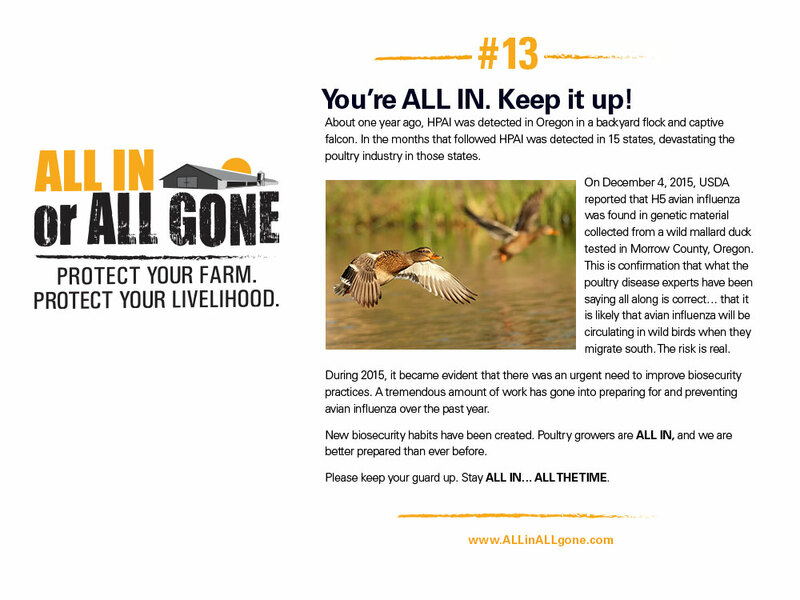 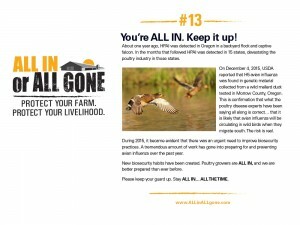 As part of a national e-mail campaign, periodic messages about the prevention of Avian Influenza are sent directly to the farm. 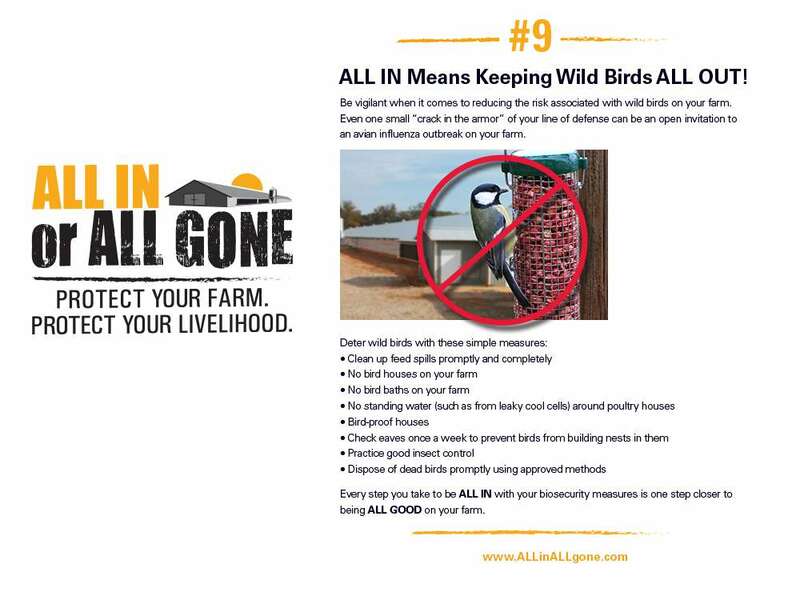 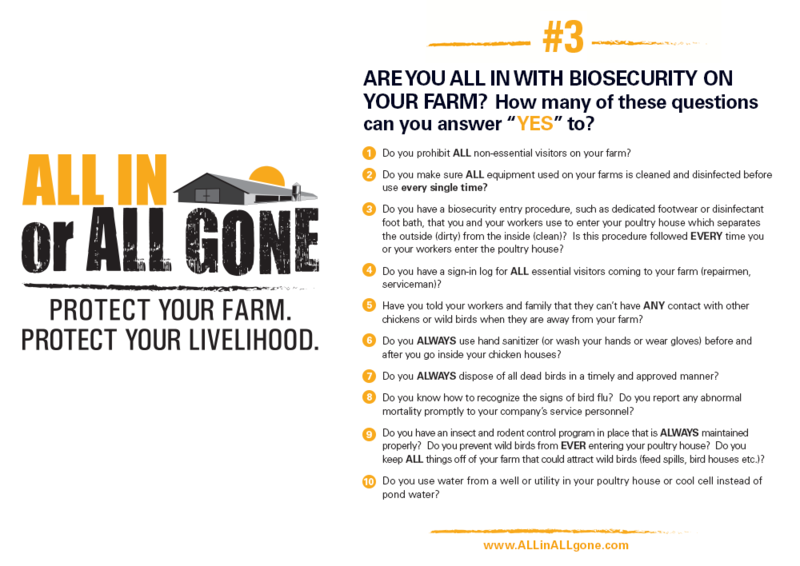 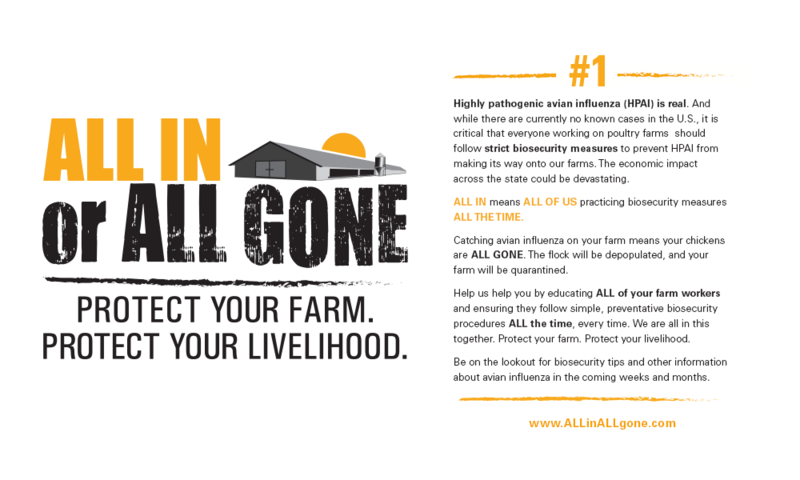 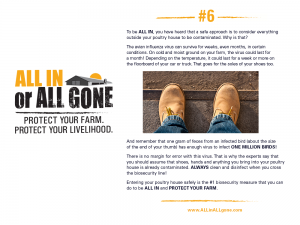 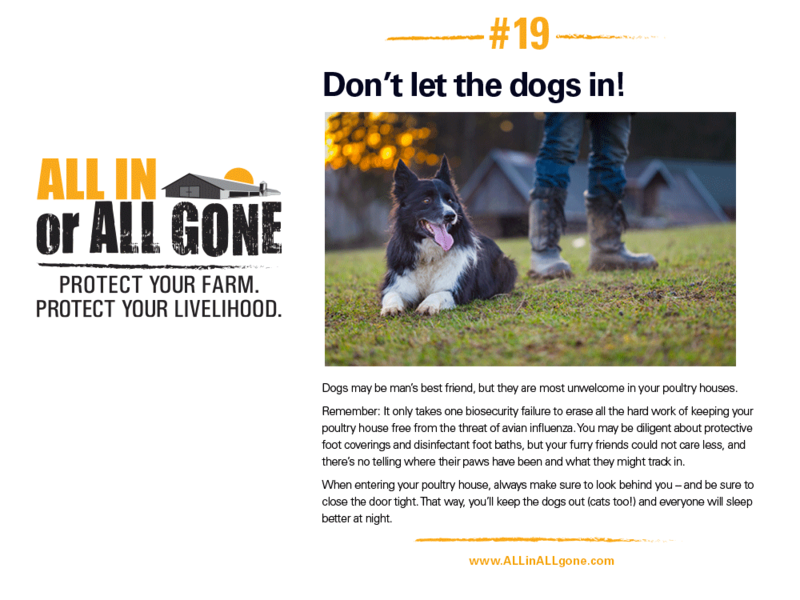 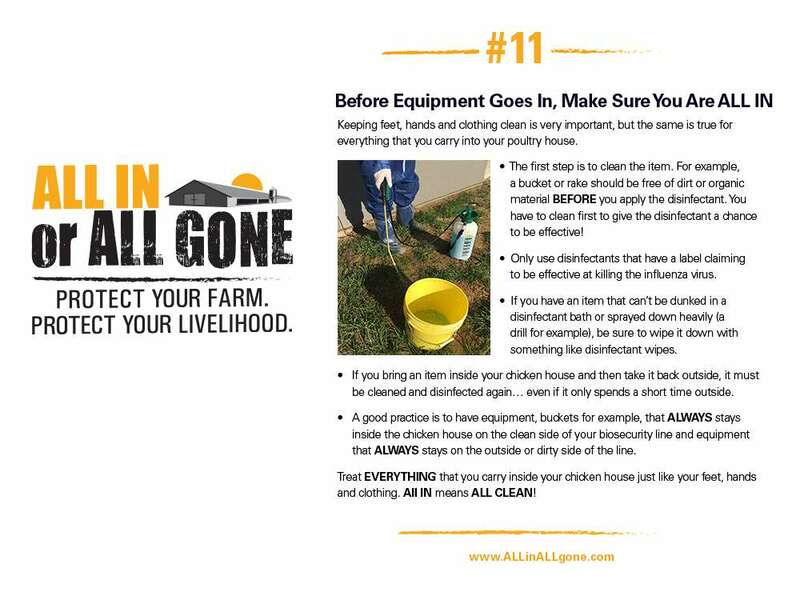 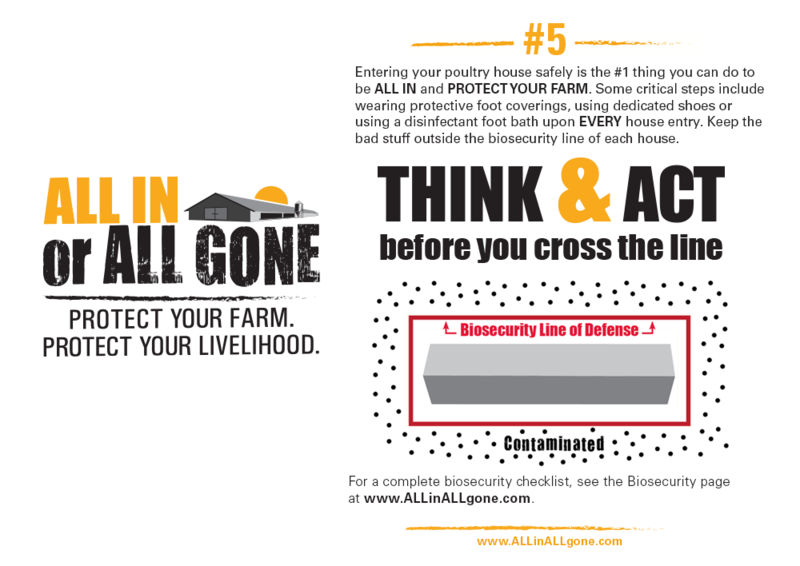 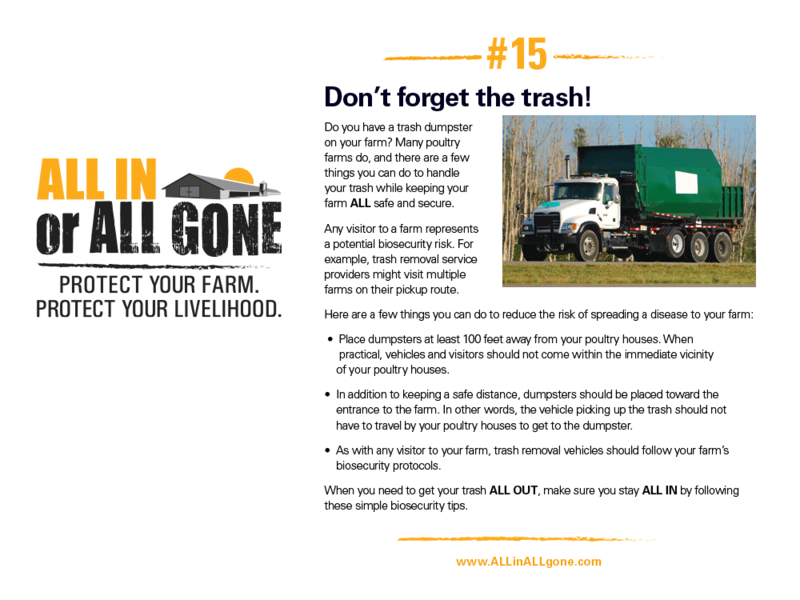 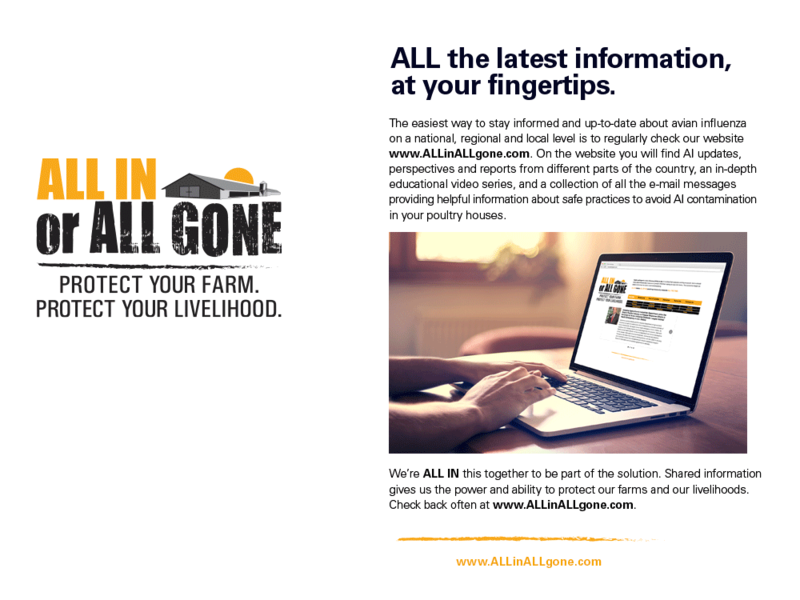 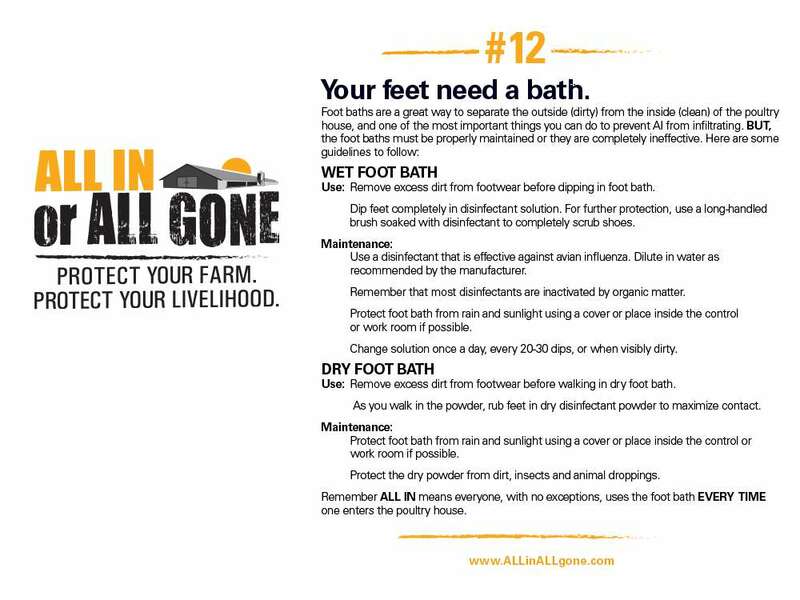 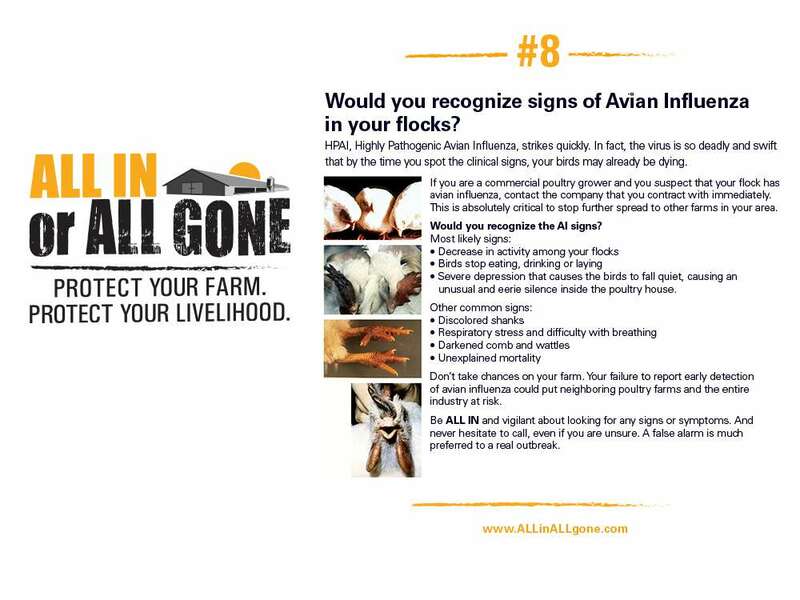 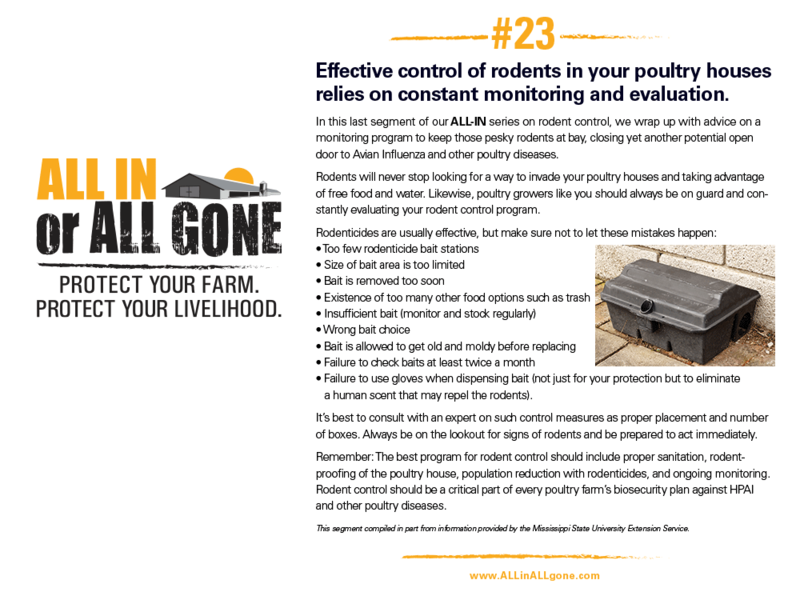 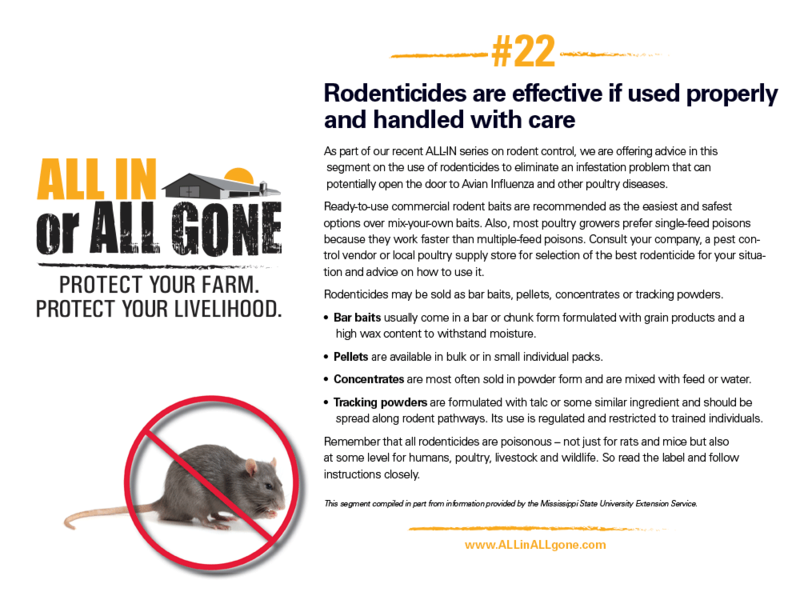 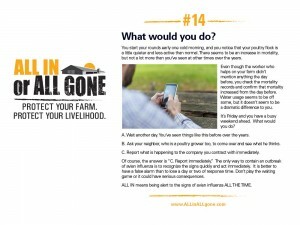 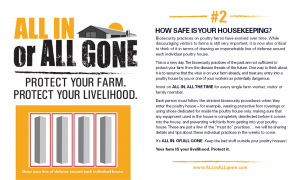 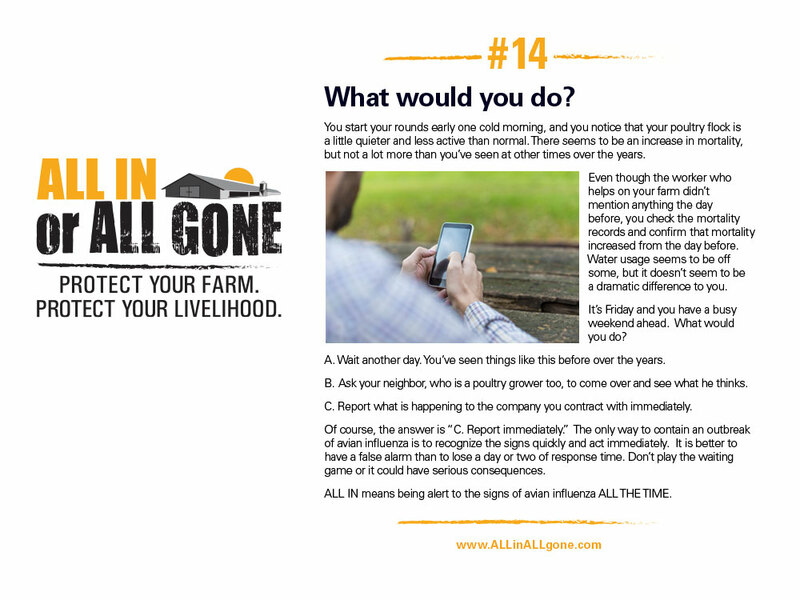 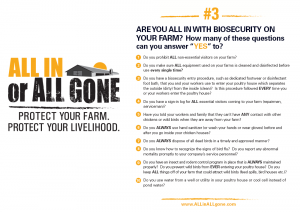 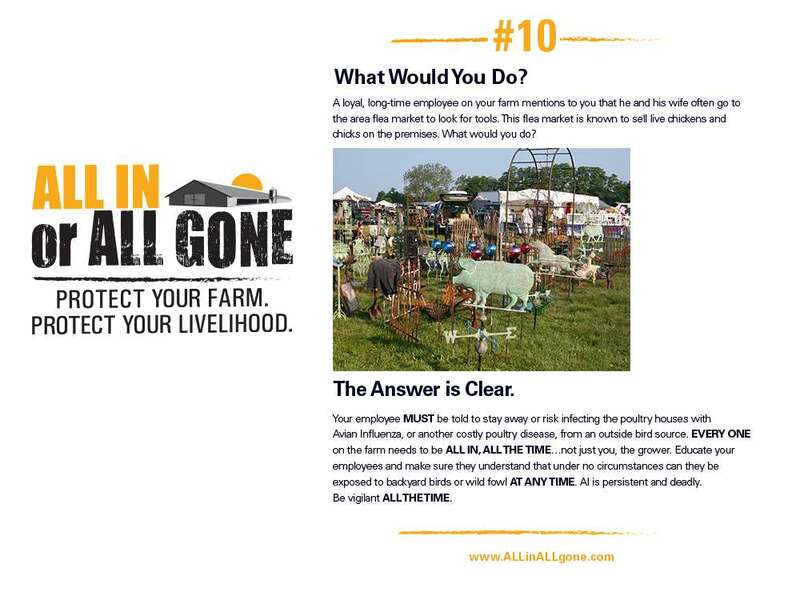 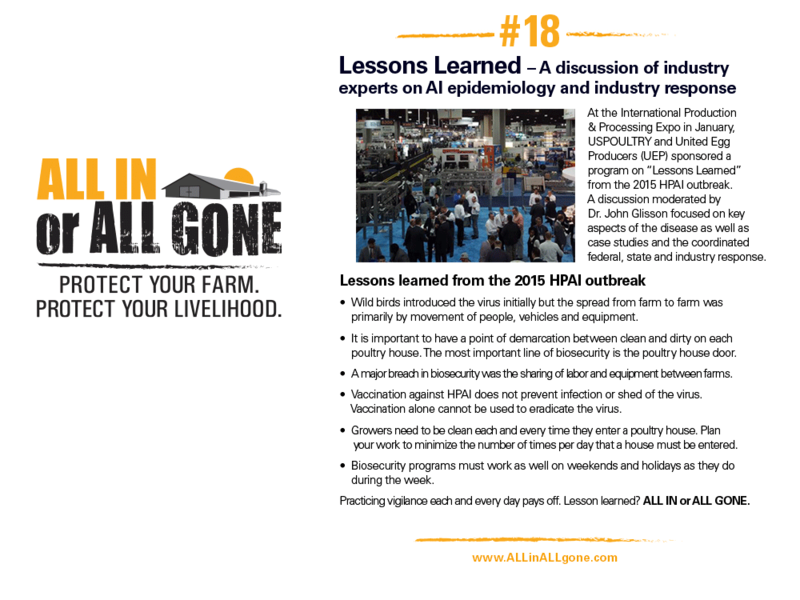 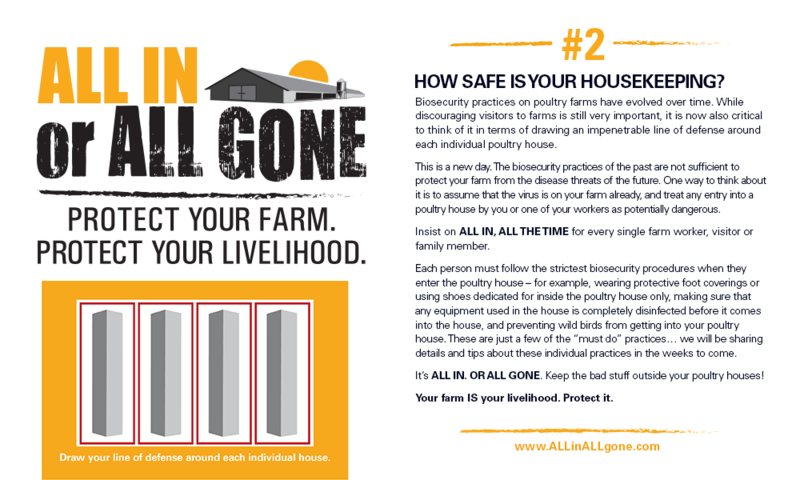 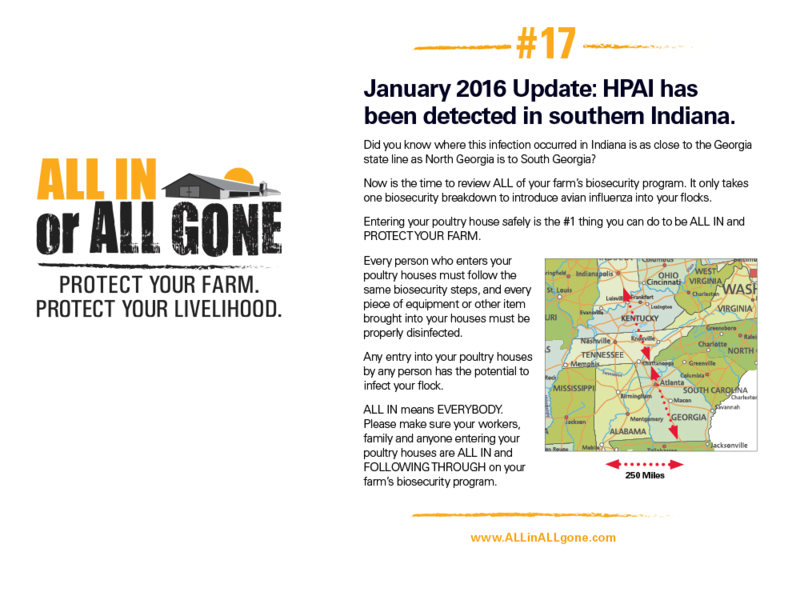 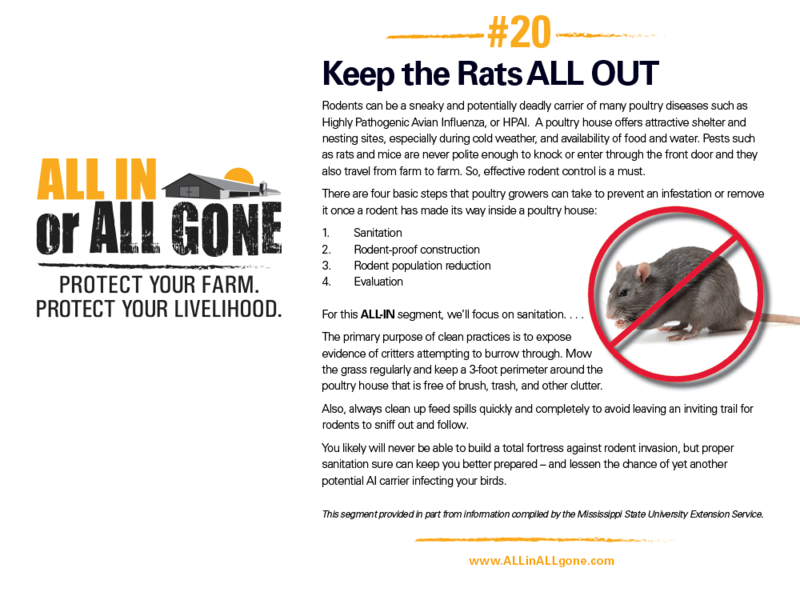 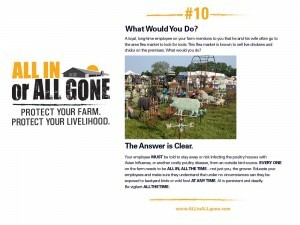 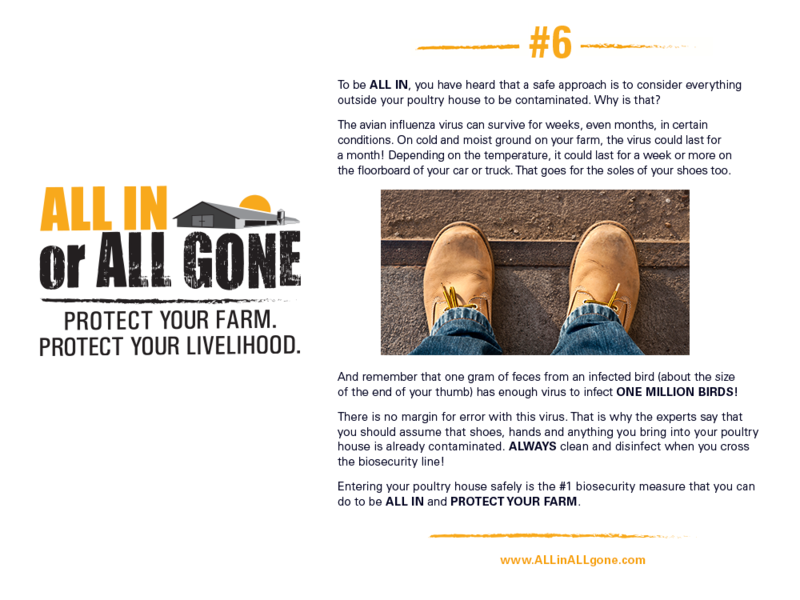 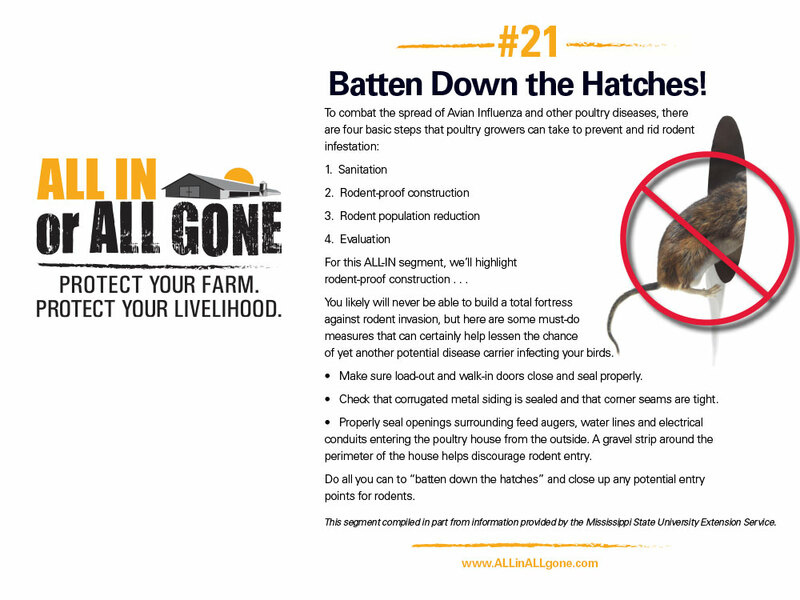 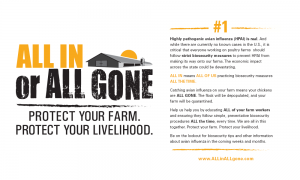 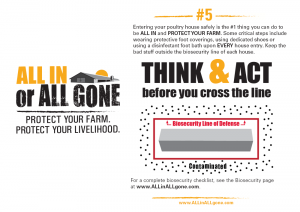 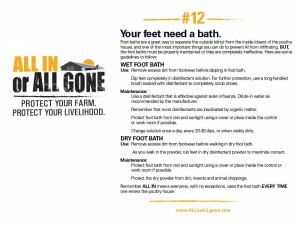 These messages provide helpful tips to poultry farmers to build awareness and provide education about biosecurity. 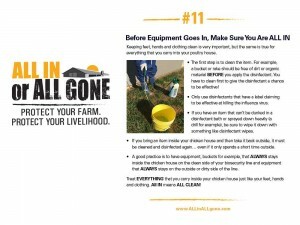 Is Your Housekeeping ALL IN? 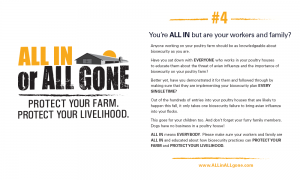 Are your workers, family ALL IN? 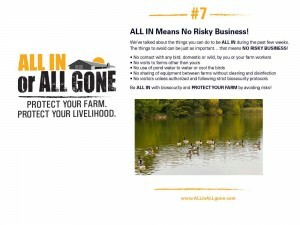 ALL IN Means No Risky Business! 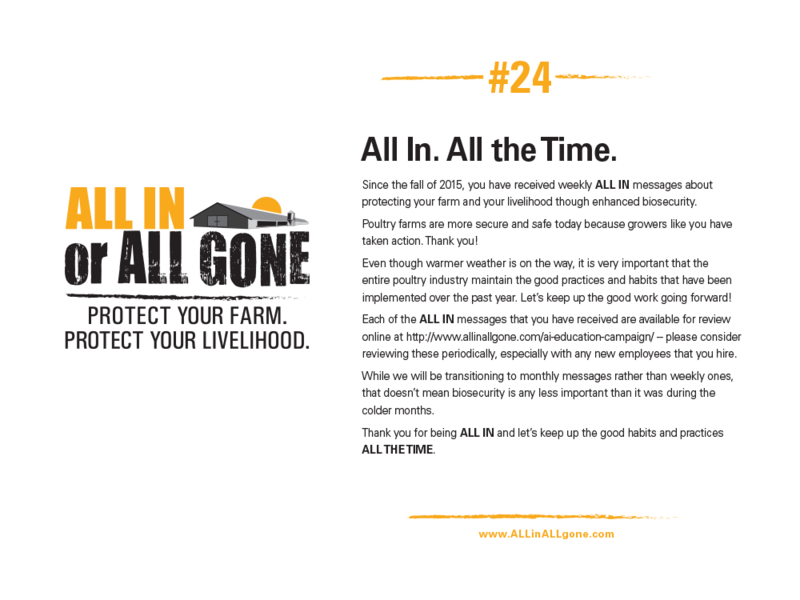 Thank you for being ALL IN.